At Mason Realty, we believe that excellent, innovative marketing is at the forefront of a great sales campaign. Our guiding philosophy is to promote South Coast properties to a broader audience, thereby seeking to achieve premium prices for sellers and introduce discerning buyers to the exciting real estate opportunities that exist in our beautiful part of the world. 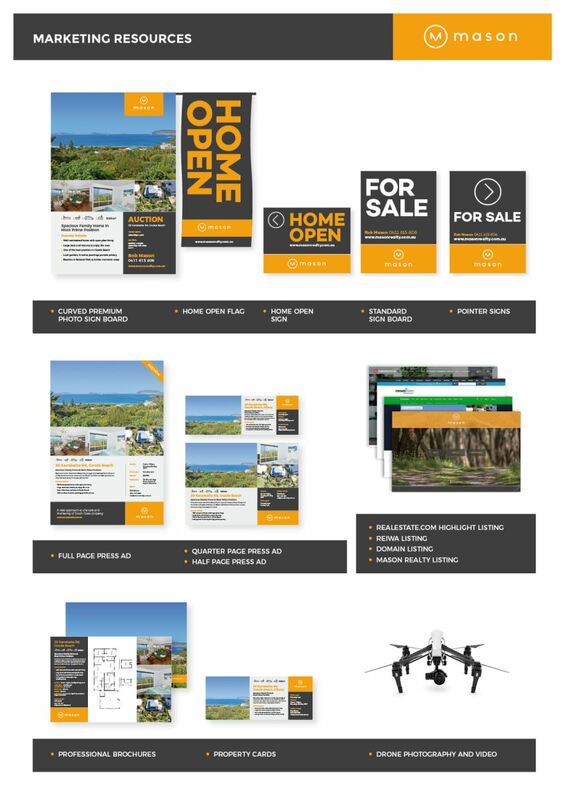 We will guide you through the vast and ever evolving marketing options for your property including digital, print and direct marketing via our database. Our approach also utilises the strong network of influential agents in the Perth Metropolitan area that Rob has built up over nearly two decades in the industry and particularly through his work as a freelance auctioneer for some of Perth’s best real estate agents. Together, we will plan the marketing campaign for your property in detail and explore different and sometimes unconventional avenues that may just spark interest from an unlikely source. We believe beautiful design and imagery can only enhance the prospect of attracting the best buyers for your property. Combined with a proactive and innovative approach, we will leave no stone unturned when it comes to the promotion of your key asset.